Offering Yoga & Meditation, Sound Healing and Sacred Music. 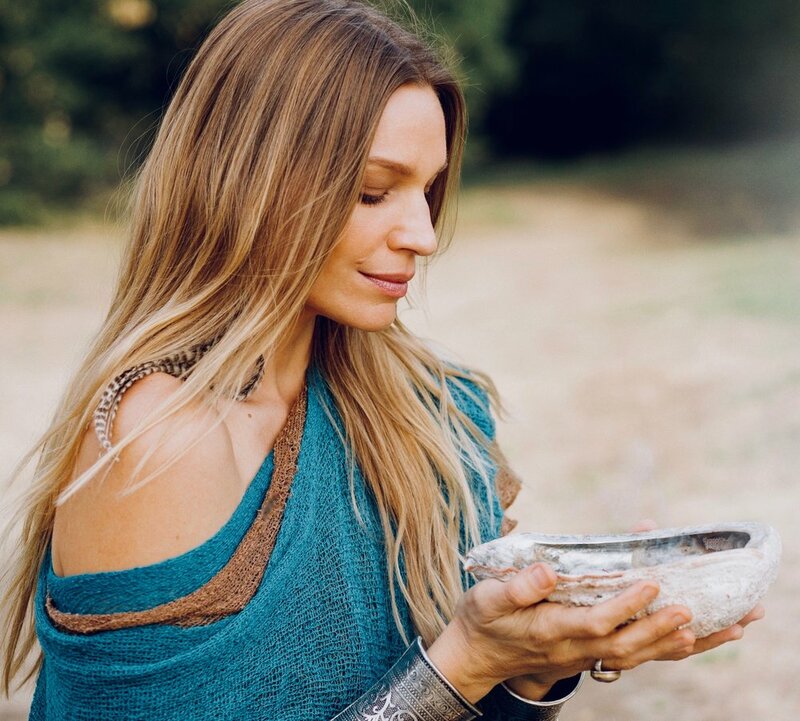 Annmarie has been teaching yoga and meditation for over 15 years based out of Los Angeles's beloved Topanga Canyon, where she is nestled in nature and wildlife, and sources strength from the quietness and peace of the native Chumash mountains. Annmarie performs sacred music concerts and leads yoga and wellness retreats around the world. She has taught and played at many yoga and music festivals including Bhakti Fest, Bali Spirit Festival, Lightning in a Bottle, and Moksha Festival. Originally from Michigan, she spent her late teens and early 20’s in a modeling career which took her around the world doing print work, catalog and runway in places like Paris, Rome,Vienna, Munich & Morocco. In her travels, she became interested in spirituality and had a spontaneous awakening experience which then shifted everything, and drew her to seek a deeper meaning in life. It was a call of the Soul. And an incredible blessing in her life. After leaving modeling, she walked into her first yoga class at Jivamukti Yoga in New York City, and felt that it was going to become an important and life changing journey. In her first yoga class lying down in savasana resting, a voice spoke to her and said "this is what you will do". Hearing this strong nudging from within, this began a powerful inward purification journey, and after practicing & studying intensely for a year, Annmarie left for India, Nepal & Thailand for a years journey on a Soul Pilgrimage. During her travels she learned sacred mantras with the brahman, visited holy temples and did purification rituals, did silent vipassana retreats, and began writing heart songs and mantras which she then brought back to America. Upon returning to the US Annmarie moved to Los Angeles' Topanga Canyon and completed her Yoga Works Teacher Training in Santa Monica CA where she then taught for the next 5 years. She has been teaching at Yoga Desa in Topanga Canyon for over 15 years, and is writing her her manual for her own upcoming Teacher Training. Stay tuned! Annmarie has songs in films, and most recently released her album Back To The Garden in 2016 produced with Ben Leinbach. She is working on her new album titled Illuminate set to be released 2019. "Annmarie is more than an instructor to me and the many students who attend her classes: She's a shaman of sorts who uses the familiar structure of an hour and a half yoga class takes on us a journey back to ourselves." A class with Annmarie feels like a sacred ceremony which never fails to bring me back to the calm equanimity of the awakened heart."